I want black and colour cartridges for my HP PSC 1315 printer? 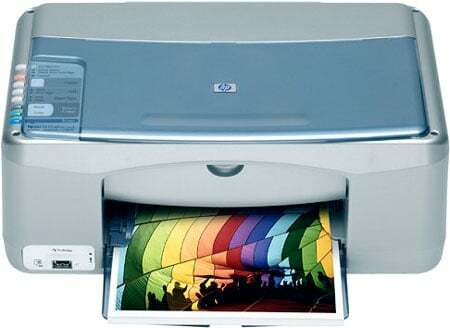 For homes with tight budgets, the HP PSC 1315 is an ideal all-in-one printer. It delivers superior quality coloured / black and white prints. Scanning and copying is fairly easy, and quality of output is more than adequate. This intuitive printer also features a PictBridge port for direct printing from a camera, even without a computer. The HP PSC 1315 was manufactured many years ago, so it may lack the latest features and may not work with newer operating systems. The HP PSC 1315 is a compact device with a flatbed scanner on top of the printer and a control panel on the left-hand side. The PictBridge port is beside the tray while the USB cable port is at the back. This printer will fit most desktops. Printing is easy even without a computer, as the HP PSC 1315 features a PictBridge port for direct camera printing and a fit-to-page button for copying. Users love how the HP PSC 1315 only takes up a small portion of the desk yet also functions as a copier and scanner. This all-in-one printer is compatible with both Mac and Windows operating systems. Newer models have already surpassed the HP PSC 1315 in terms of printing speed, connectivity options, and features. Some have LCD displays and memory card readers and even have built-in Wi-Fi.